A nationally recognized scholar on race matters will speak Monday, Feb. 18, on the McNichols Campus as part of Black History Month. The talk is free, requires no reservations and begins at 6:45 p.m. in student center ballroom. 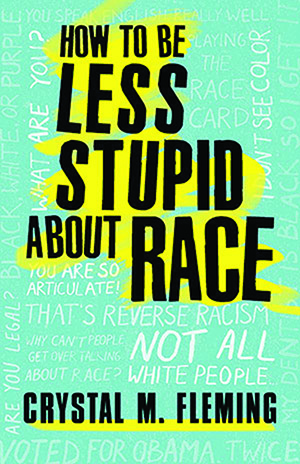 Fleming’s book blends memoir, satire and critical race theory “to debunk common misconceptions about racism,” and provides a unique and irreverent take on what’s wrong with our “national conversation about race” – and what to do about it. Her 2018 book has drawn praise nationally.